On June 12, the Summit will lead off with a panel of four prosecutors who have challenged conventional wisdom and forged new models of prosecutorial practice. The Friday evening banquet speaker will be former United States Attorney Joseph diGenova, a man who never hesitates to speak his mind! And I haven’t said anything about the impressive range of workshops…and networking opportunities….and more. Check it out: http://www.prosecutorintegrity.org/summit/ Looking forward to seeing you June 12-13! See the Summit schedule here. Areas of research are open but should touch upon the multifaceted causes, implications, and/or remedies of wrongful conviction. International papers are welcome but must be submitted in English. Please submit a title and paper proposal to the Innocence Scholarship Committee at this G-Mail account: innocencescholarship@gmail.com by February 13, 2015. Paper proposals must be no more than 200 words. Completed drafts must be submitted to the Committee by April 17th, 2015. The Innocence Scholarship Committee is comprised of the following Members: Professor Aliza Kaplan, Oregon Innocence Project, Lewis & Clark School of Law, Portland, Oregon; Professor Valena Beety, West Virginia Innocence Project, West Virginia School of Law; and Dr. Robert Schehr, Arizona Innocence Project, Northern Arizona University. The Center for Prosecutor Integrity (CPI) is announcing its Invitation for Workshop Proposals for the 2015 Innocence Summit, themed “Forging Best Practices for Innocence Reform.” CPI invites individuals and organizations throughout the criminal legal system to submit a proposal. Workshops are designed to educate attendees on issues of substantive law and practical interest. Recent research findings, program descriptions, case studies, legal analyses, advocacy strategies, and innovative solutions are all welcome. Proposals are welcome from a variety of presenters and using a variety of presentation formats. Workshops will be 60 minutes in length. Proposals should be submitted here: summit@prosecutorintegrity.org. Applications are due no later than Friday, January 16th, 2015. Last year’s Innocence Summit was a great success, and we invite you to participate in this exciting opportunity to advance best practices for innocence reform! 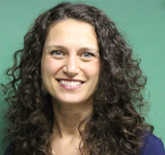 If you have any questions, contact Gina Lauterio, CPI Program Director, at summit@prosecutorintegrity.org . The Center for Prosecutor Integrity, a 501(c)3 organization, works toward preserving the presumption of innocence, assuring equal treatment under the law, and ending wrongful convictions. This article considers the apparent lack of serious engagement with issues pertaining to wrongful convictions by criminology at present. It seeks to address this by criminologizing wrongful convictions in two senses: firstly, by highlighting a variety of forms of intentional law or rule breaking by police officers and prosecutors in the causation of wrongful convictions that in other circumstances would likely be treated as crime and dealt with as such; and, secondly, to reveal the extent to which such powerful criminal justice system agents can cause profound and wide-ranging forms of harm to victims of wrongful convictions, their families and society as a whole with almost total impunity. In so doing, the relevance of the study of the intentional forms of crime and deviance committed by criminal justice system agents in the manufacture of wrongful convictions to both arms of the criminological divide is emphasized: mainstream and critical criminology. The overall aim is to show that the study of wrongful convictions can further extend and enrich existing criminological epistemology in vital and important ways and can even contribute to the prevention and possible elimination of those that are caused deliberately. A great concern with plea-bargains is that they may induce innocent individuals to plead guilty to crimes they have not committed. In this article, we identify schemes that reduce the number of innocent-pleas without affecting guilty individuals’ plea-bargain incentives. Large compensations for exonerees reduce expected costs associated with wrongful determinations of guilt in trial and thereby reduce the number of innocent-pleas. Any distortions in guilty individuals’ incentives to take plea bargains caused by these compensations can be off-set by a small increase in the discounts offered for pleading guilty. Although there are many statutory reform proposals for increasing exoneration compensations, no one has yet noted this desirable separating effect of exoneree compensations. We argue that such reforms are likely to achieve this result without causing deterrence losses. This short extract — the first four pages of Chapter 1 in an edited volume, Controversies in Innocence Cases in America — begins to describe the history and significance of the Innocence Movement in the American Criminal Justice System. 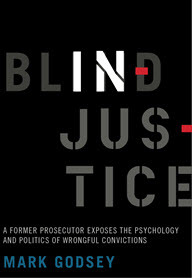 The full chapter traces the origins of the innocence organizations that came together to form the Innocence Network and fostered the new Innocence Movement, the manner in which the Innocence Movement has created an impetus and model for criminal justice reform that shifts the focus from the Warren Court’s due process revolution of the 1960s to a more substantive focus on reliability. In this framework, the chapter then considers some of the specific reforms that have emerged from the Innocence Movement’s focus on substantive justice, and the challenges that lie ahead. 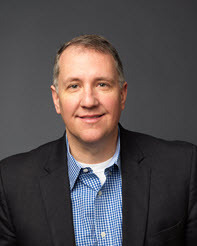 Daniel Epps has posted the above-titled article on SSRN. Download here. Abstract below. I haven’t read the piece yet, but the friend who sent it to me read it and said, “These kids with their Harvard degrees and Supreme Court clerkships and no real experience in the criminal law trenches can be really scary.” Have a read…Enjoy! “Better that ten guilty persons escape, than that one innocent suffer,” William Blackstone’s famous adage, stands for a powerful idea in the criminal law: that it’s essential to minimize wrongly convicting the innocent even at the expense of overall accuracy. This “Blackstone principle” accords with most people’s deeply felt intuitions about criminal justice. The leading modern argument for the Blackstone principle is that false convictions are simply more costly than false acquittals. But that argument is incomplete, because it focuses myopically on the costs of errors in individual cases. A complete analysis of the Blackstone principle requires taking stock of its dynamic effects on the criminal justice system as a whole. The Article conducts that analysis, which reveals two significant but previously unrecognized draw-backs of the Blackstone principle: First, its benefits to innocent defendants are smaller than usually assumed; it could even make those defendants worse off. Second, the principle reinforces a widely recognized political process failure in criminal justice, hurting not just defendants but society as a whole. The magnitude of these effects is uncertain, but they could more than cancel out the principle’s putative benefits. The Article then analyzes alternative justifications for the Blackstone principle. None is satisfactory; each rests on dubious empirical premises, logical errors, or controversial premises. There is thus no fully persuasive justification for the principle. Rejecting the Blackstone principle would require us to re-think — although not necessarily redesign — various aspects of our criminal-procedure system. There has been a recent addition to the literature regarding the validity of forensic evidence and the power that expert testimony has in court. 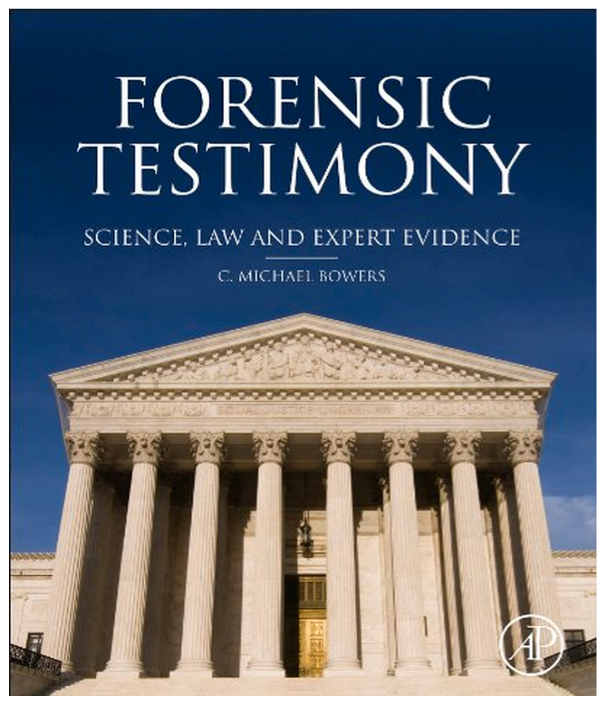 The book Forensic Testimony; Science, Law and Expert Evidence is written by C. Michael Bowers and published by Elsevier Academic Press. Professor Jane Taylor, University of Newcastle, New South Wales, Australia has reviewed the book, and you can read that review here. I have had the opportunity to personally review this book, and can say without question that it is a must read for anyone who deals with the validity (or lack of) and the power of forensic evidence and expert testimony in a trial. The book really resonates with me, because it emphasizes the problems with the “uniqueness principle” and the use of flawed inductive reasoning in the development of the forensic disciplines (I refuse to call them “sciences.”) that I have been preaching about for years. I most highly recommend it. The book is available on Amazon here. This article examines the need and bases for expert testimony on false confessions in criminal cases. Drawing on social science research, the article first briefly assesses the role of false confessions in wrongful convictions, including the nature of the false confession problem and the impact of false confessions in producing false convictions as well as in tainting other evidence and other aspects of police investigations. The article then turns to admissibility standards that govern expert testimony and their application to false confession expert testimony. In particular it sets forth the typical standards used for assessing admissibility of expert evidence and then shows that, when those standards are applied objectively, appropriately framed expert testimony on false confessions should be admissible in most cases. In particular, the article discusses the research on false confessions to highlight the types of facts that experts can provide to juries. The article then addresses the most prominent systemic response to coerced confessions “the Miranda warnings.” The article examines psychological research to demonstrate that Miranda provides very little protection against coerced and false confessions, and, therefore, cannot provide justification for dispensing with expert testimony. What is so haunting about the known wrongful convictions is that they are the tip of the iceberg. Untold numbers of mundane errors may escape notice while sending the innocent to prison and even to the death chamber. That is why I recommended to readers a trilogy of fascinating new books that look into the larger but murkier problem of error. In this article for Michigan Law Review’s annual book issue, I review three books: Los Tocayos Carlos, by James Liebman, Shawn Crowley, Andrew Markquart, Lauren Rosenberg, Lauren Gallo White and Daniel Zharkovsky; Anatomy of Injustice: A Murder Case Gone Wrong, by Raymond Bonner; and In Doubt: The Psychology of the Criminal Justice Process, by Dan Simon. Each of these books brings important new perspective and understanding to the reasons why our criminal justice system can make terrible mistakes. 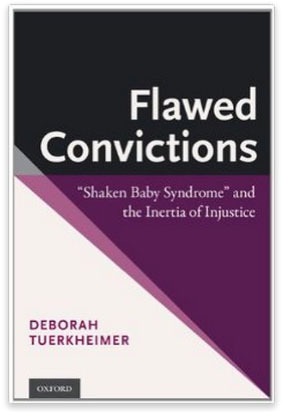 Sue Luttner has posted an excellent piece on her blog OnSBS about the new book by Prof. Deborah Tuerkheimer to be released in April – Flawed Convictions – Shaken Baby Syndrome and the Inertia of Injustice. Please see Sue’s post here. This book will be a must read for any involved in the SBS debate.